ASSET’s second beneficiary is a young man named Julius K. As is required for all ASSET beneficiaries, we interviewed Julius to learn about his life experiences, his motivations to study, and his educational and career goals. Julius K: I was brought up in a big family. I am one of the youngest. I lost my mother when I was about 12 years old; I was in primary seven at the time. Julius K: I have a Diploma in Procurement and Logistics Management from Kyambogo University and am now pursuing a Bachelor’s degree in the same field. I intend to achieve even more professional qualifications in this and other fields. Julius K: Being part of a very big family, there are a lot of responsibilities and priorities to be considered; this leaves my chances of getting enough support for my higher education and career development initiatives thin. Julius K: I intend to successfully complete my degree, after which, I intend to attain certification from CIPS, an internationally recognized procurement institution based in Denmark and affiliated to Multi-Tec Accountancy Program in Uganda. I think this will help make me more competent in my profession at an international level. Julius K: I intend to practice my profession in organizations that help the poor and reduce poverty; organizations like the United Nations. They all need the value adding abilities of professional Logisticians in their operations. I would also like to someday run my own procurement agency to help organizations realize the value and cost minimization abilities that could be attained by properly managing a supply chain. Julius K: It will provide me with the financial support I need to finish my degree and pursue a career in procurement and supply chain management. Julius K: I am a hard working individual and I try to use a wide range of strategies to achieve my goals. For example, in my degree program at Kyambogo University, I keep a very organized schedule, do all my assignments on time and have cultivated a wide network of strong relationships in and outside school to enable me to successfully complete my studies and prepare me for the professional world. My only hindrance is the financial need, which this scholarship can meet. Julius K: I receive housing (hostel) and up keep allowances. ASSET: Provide an estimate of the financing you need to get back on the path to completing your study program? Julius K: Ushs 2.75million inclusive of hostel fees for the next three semesters. Julius K: Before I moved in with my Dad, I lived with my Mum, a single mother who didn’t have a lot. When I was 12 years while in my first term of primary seven, she passed away. This affected my performance in both the primary leaving finals exam (PLE) and the initial stages of secondary school. When I went live with my Dad, my stepmother was not very nice to me. This led to a loss of self-confidence and motivation on my part. My mother has always taught me to be strong and courageous. I took on sports and this allowed me to make friends take my mind off my circumstances. I also took an interest in history and economics and started to work harder at my studies. My self-confidence and motivation returned and I excelled in my secondary school studies to successfully make it to University. Julius K: I love to travel, watch and play football and hang out with my friends. >We recently sat down with Chris M., our first beneficiary, to learn about his life, his motivations to study, and his educational and career goals. Highlights from our conversation with Chris M appear below. Chris M: I come from a broken family. My parents divorced when I was very young and I have grown up with only my dad. We are seven children, three girls and four boys. I attended good schools, for example Namilyango College, Old Kampala SSS and Katikamu SDA Wobulenzi where I completed my “A” Level. I benefited from a few scholarships due to my good performance and I am now at in University. Chris M: One of the major circumstances that caused me to need assistance was that my dad could not provide for all of us due to the fact that we were a large family and his income was very low. Chris M: After my degree, I would like to pursue a professional course called CIPS (Chartered Institute of Purchasing and Supplies). Thereafter, I would also want to pursue a Masters Degree in Human Resource Management. Chris M: Since I am studying a business course, I would like to be a successful businessman and also get involved in charitable activities of helping the needy like orphans and other disadvantaged people. This would be my way of giving back to the Society, since the same thing has been done to me. Chris M: Since one of my dreams is to be a successful businessman, this Scholarship will help me complete my business degree. This will equip me with business skills; ideas and experience, which in turn will enable me to make money and attain the financial stability I need to meet my goals. Chris M: I think am a good candidate for an ASSET Scholarship because of my good performance in school and my will to continue with my education despite my circumstances. Chris M: I have received funds to buy textbooks that I use in my studies as well as other scholastic materials like pens and calculators. 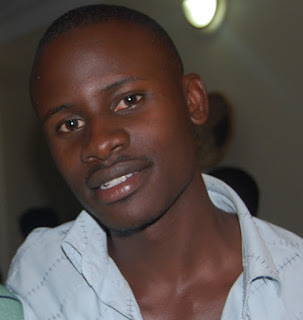 Chris M: Since this is my last Semester, I need about 1 Million Uganda Shillings, which is equivalent to USD 500. This would cover tuition, research project fees, transport and textbooks. Chris M: I faced the challenge of peer pressure, which used to force me to make wrong decisions. I used to disobey my teachers and parents and I was very proud over nothing. I took advantage of my friends, which was really very bad because it was destroying my reputation in school and at home. I overcame this by adopting Godly values, consulting my superiors and reading books or novels of great authors. This changed my life. Chris. M: My interests are readying novels, magazines and newspapers. I also like playing and watching football. >Today ASSET received a $25 donation from Maurita Goodman. In addition, Shara Haq has continued to sell beads for ASSET’s Bead to Read program along with a social worker named Barb Anderson. ASSET is grateful to all these wonderful people for their donated time, effort and resources. We have been busy at ASSET selecting our first two beneficiaries. The donations received to date have already been used to help cover tuition and other educational costs for two intelligent young men. In the coming weeks, we will introduce Chris M. and Julius K. to our blog readers. We will be posting highlights from the intake interviews, which were a central component of the beneficiary selection process. We hope that you will enjoy learning more about our beneficiaries and their lives and goals. To help our donors and blog readers stay informed on progress, we will be posting messages from ASSET beneficiaries from time to time.